When an American woman and her British husband decide to buy a two-hundred-year-old cottage in the heart of the Cotswolds, they’re hoping for an escape from their London lives. Instead, their decision about whether or not to have a child plays out against a backdrop of village fêtes, rural rambles, and a cast of eccentrics clad in corduroy and tweed. —Catherine Langrerh for IndieReader. Click here for full review. Set against the backdrop of English high-camp country-life, Americashire is a delight to read. A gutsy, mature and compassionate memoir that paints a moving portrait of a tricky but loving marriage, and the unexpected tough choices that life delivers us all, sooner or later. 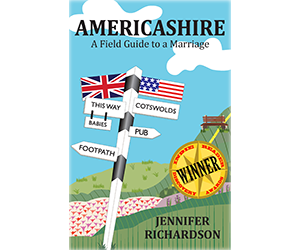 Jennifer Richardson is an American Anglophile who spent three years living in a Cotswold village populated straight out of English central casting. Fumbling aristocrats, gentlemen farmers, and a village idiot—a role she mostly played herself—all provided the source material for her memoir, Americashire. © 2016. 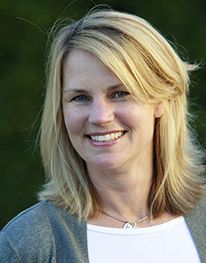 Jennifer Richardson. All Rights Reserved.